The 2014 Logs End Factory Blowout Sale is only a week away. 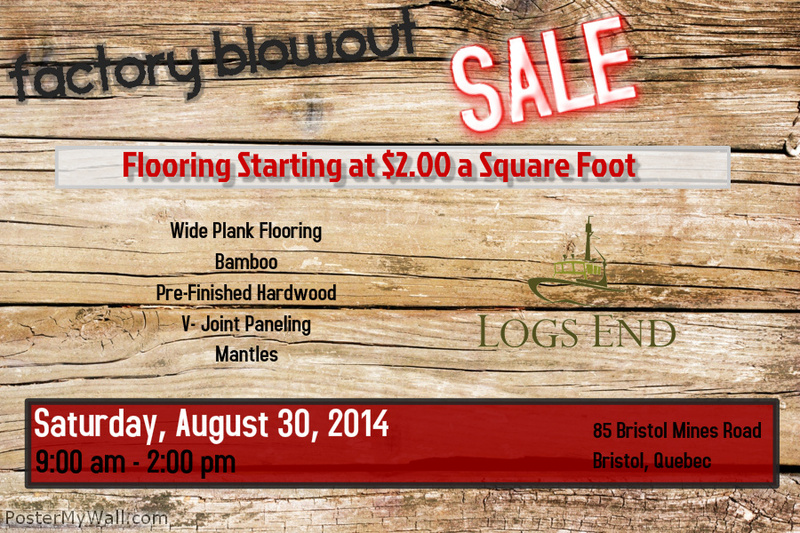 Join us at the Logs End Mill in Bristol, Quebec on Saturday, August 30th from 9:00am to 2:00pm. We will have a stellar selection of products including Wide Plank Flooring, Bamboo, Pre-Finished Hardwood, V-Joint Paneling, and Mantles. Flooring prices start at $2.00 a square foot. Be sure to save the date, and take advantage of the incredible savings!